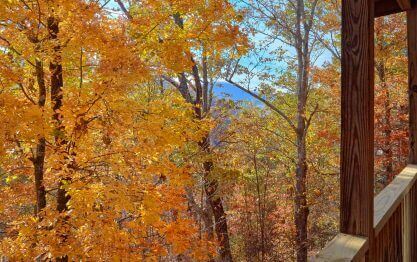 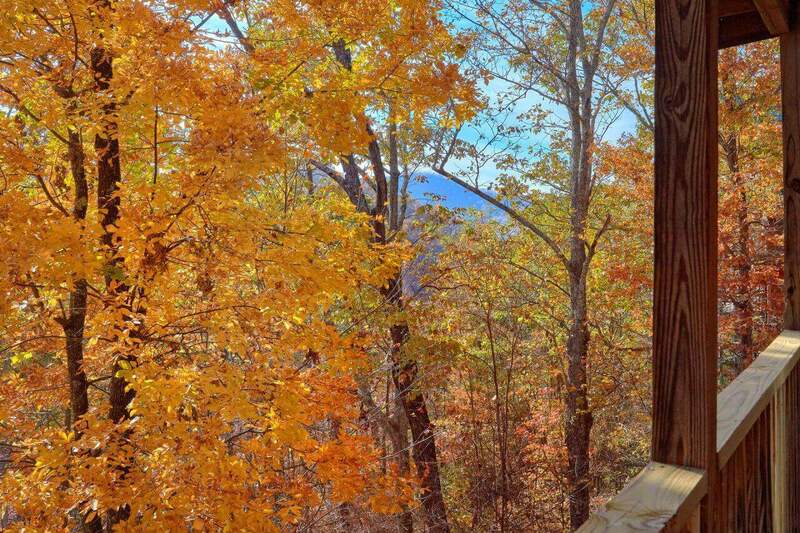 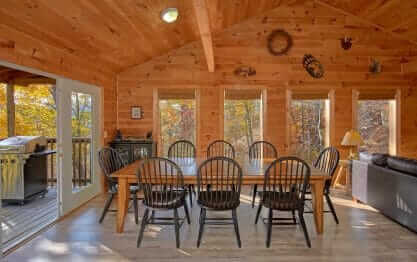 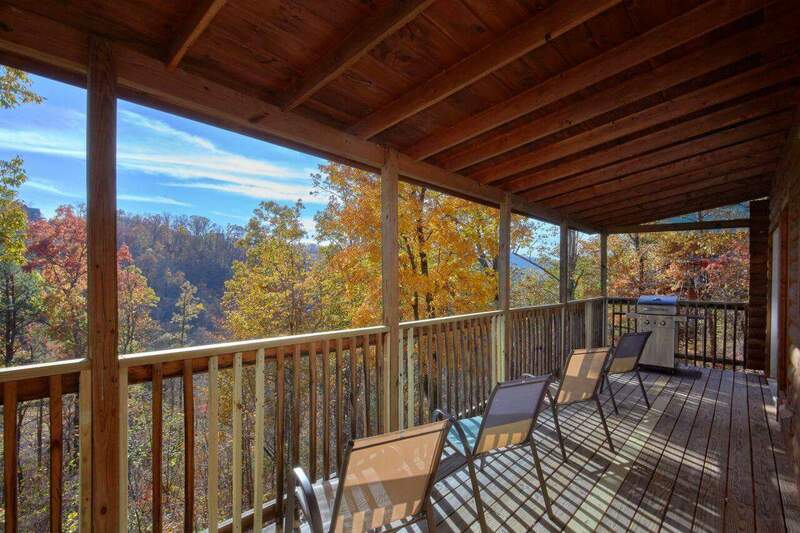 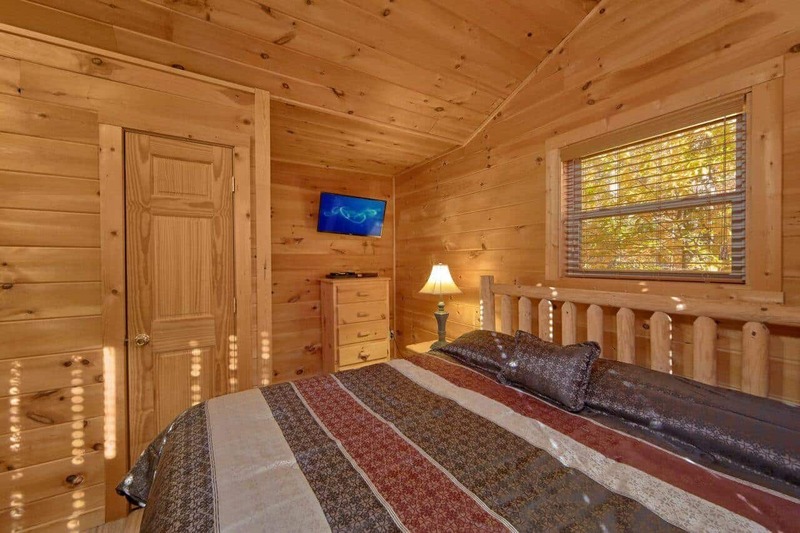 Gather with friends and family in your 6 bedroom cabin with theater room located in Wears valley. 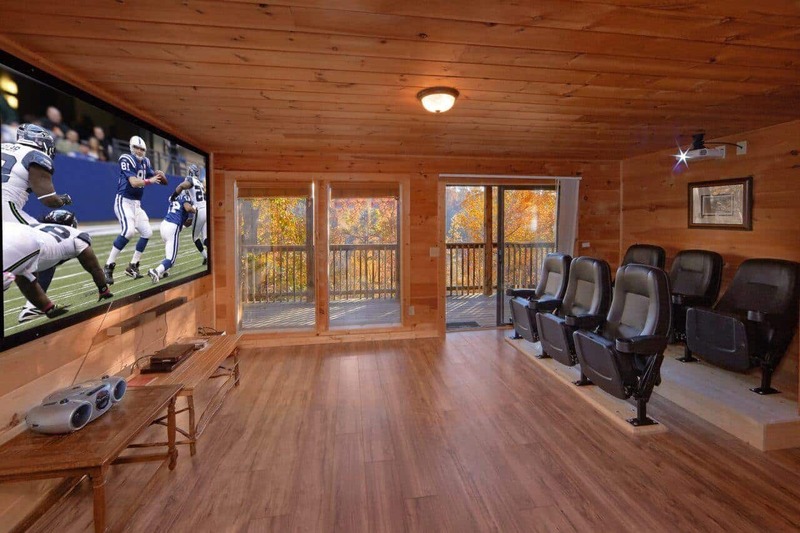 Imagine gathering with friends and family and enjoying a private showing of your favorite movie on a 9 foot screen while sitting in tiered theater seats in your own private theater room. 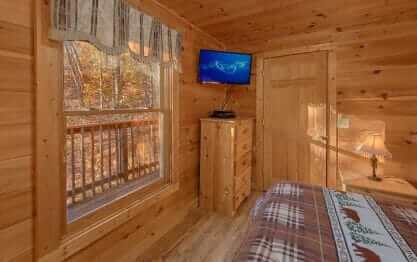 Even better, enjoy the movie as you peer through giant windows that look out over spectacular mountain vistas. At Big Pine Lodge this is not a dream, but just the one of the incredible amenities that guarantee a Smoky Mountain experience like no other. 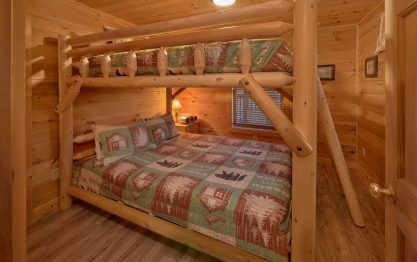 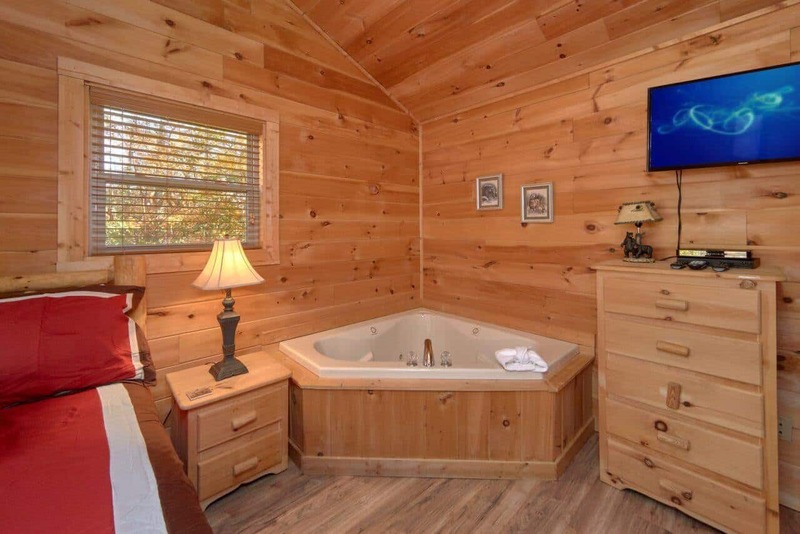 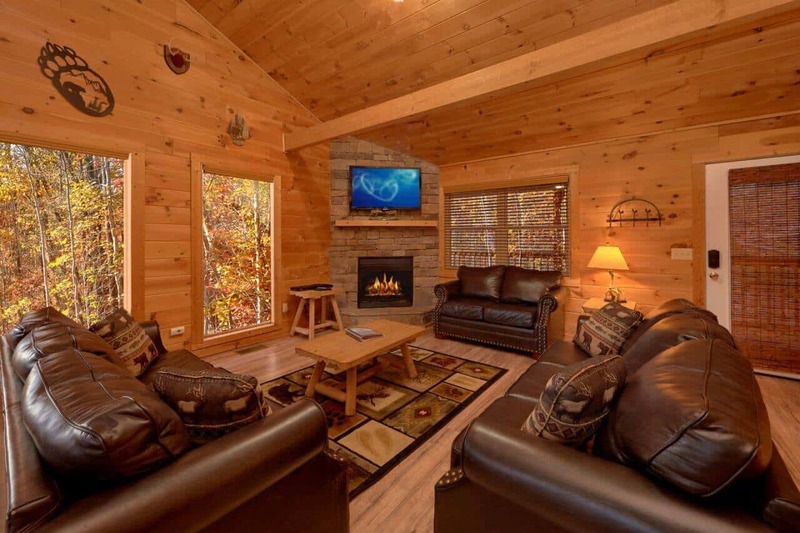 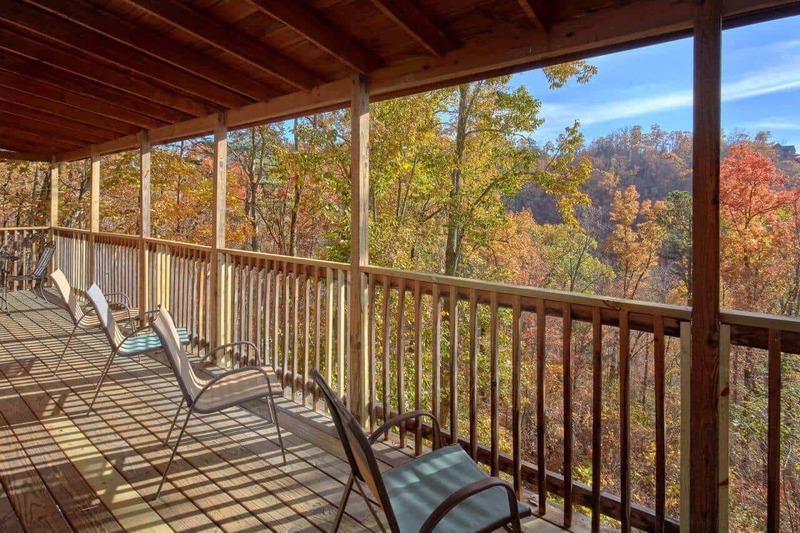 Newly remodeled, Big Pine Lodge offers you six spacious bedrooms in addition to expansive decks and porches so your whole family or group can congregate and relax. 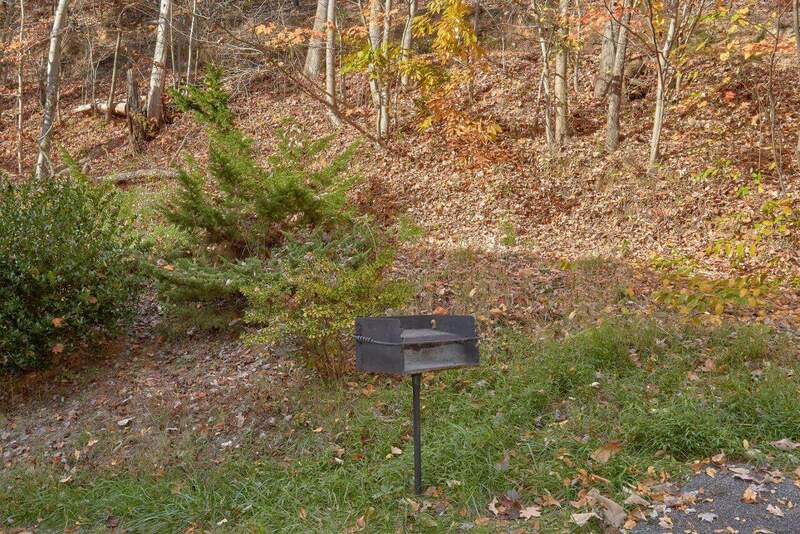 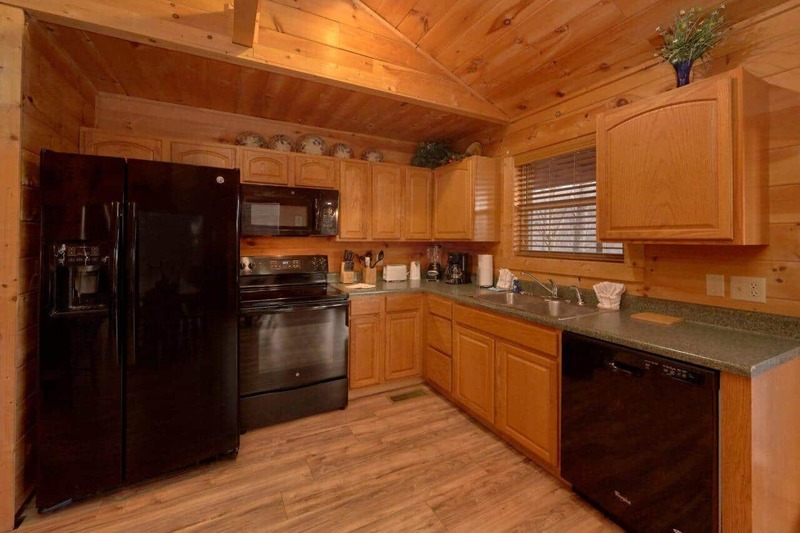 Cook for the whole group in your open floor-plan kitchen/living room or grill on the deck. 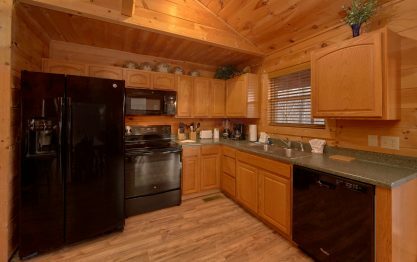 Laugh and delight in the company of loved ones as they enjoy this meal at your large dining room table or outdoor seating on the deck. 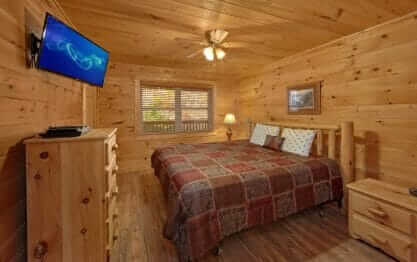 Big Pine Lodge offers you all this at an unbelievable price point. 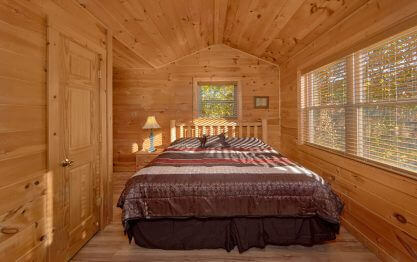 If you are looking for a good value and your dates are available we suggest booking ASAP. 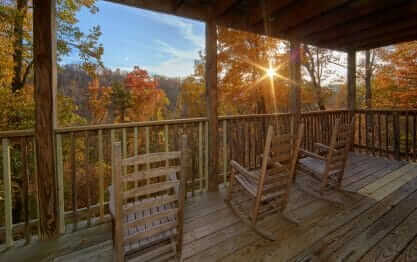 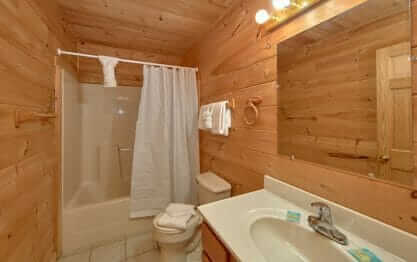 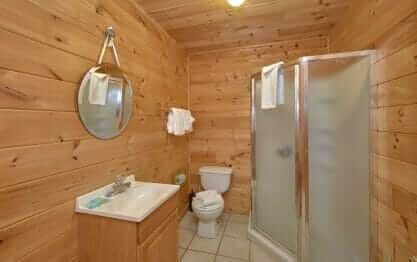 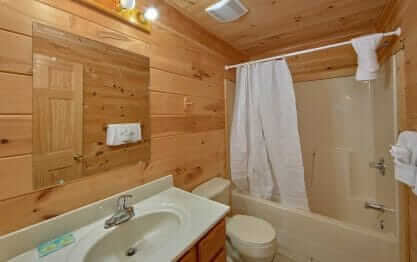 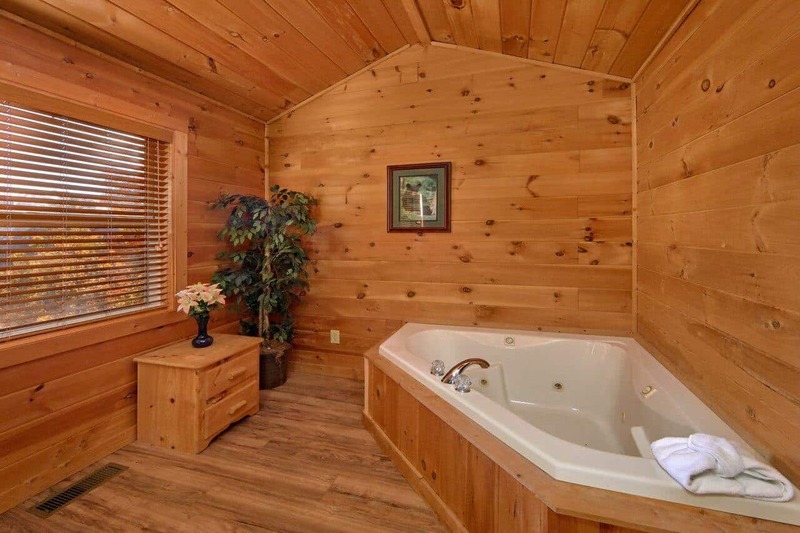 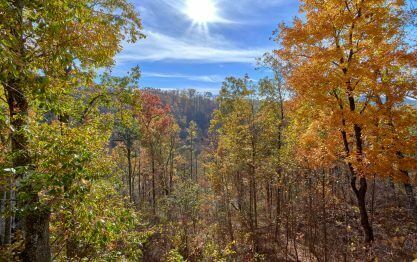 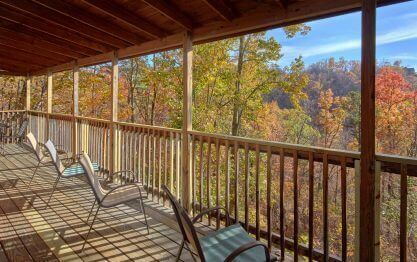 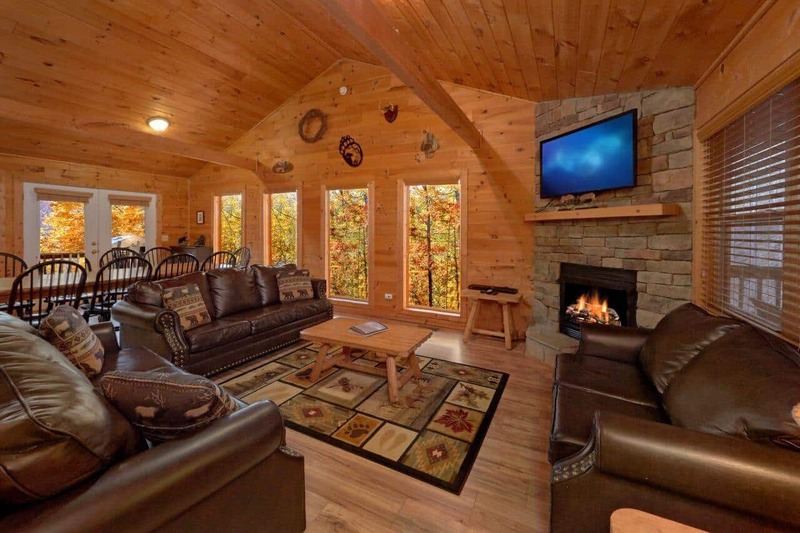 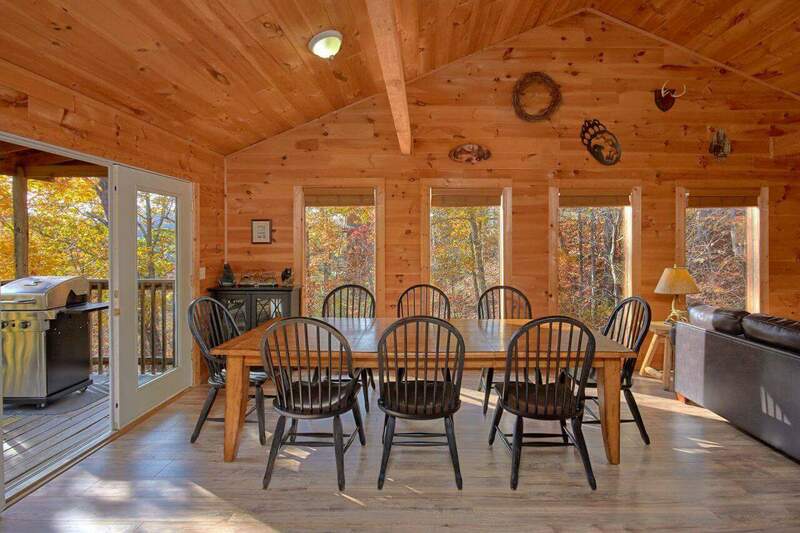 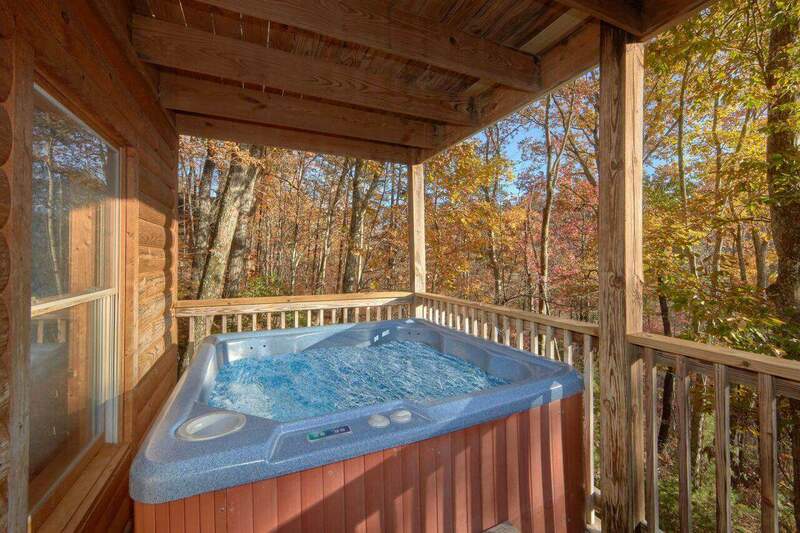 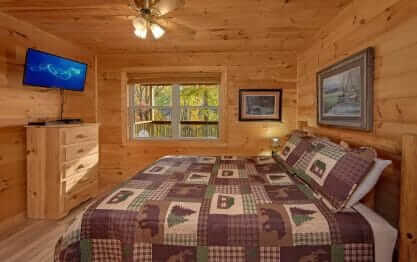 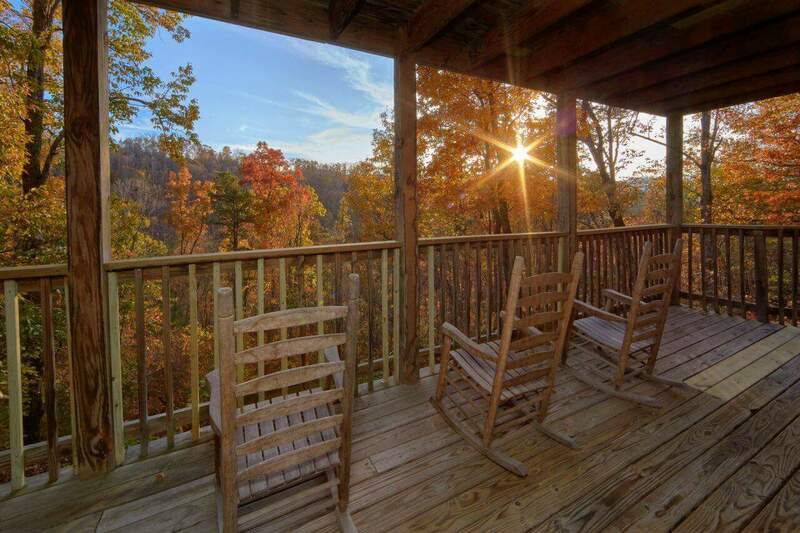 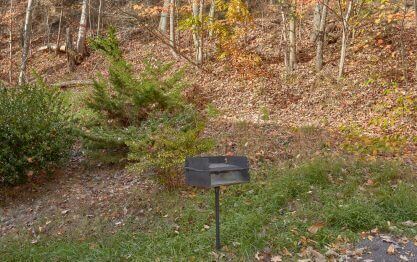 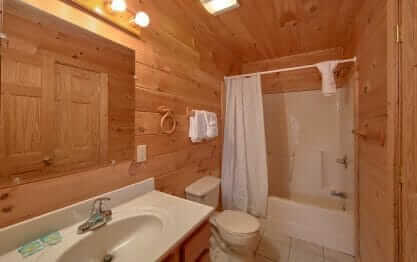 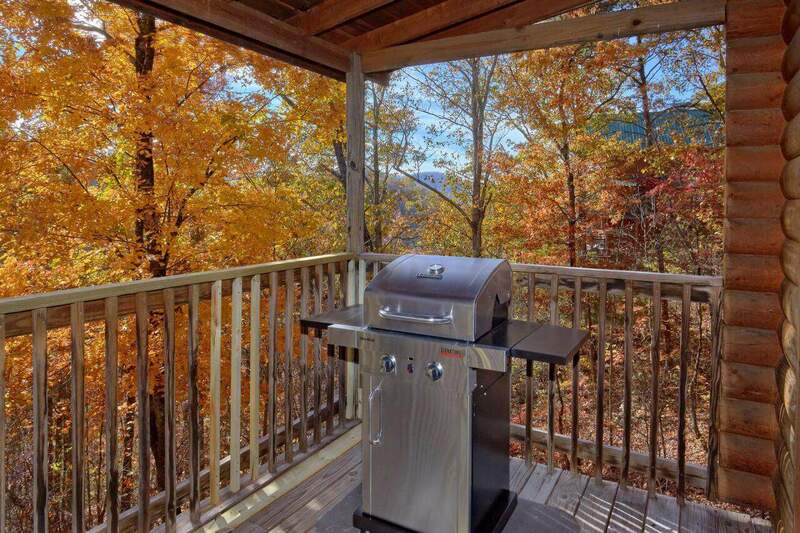 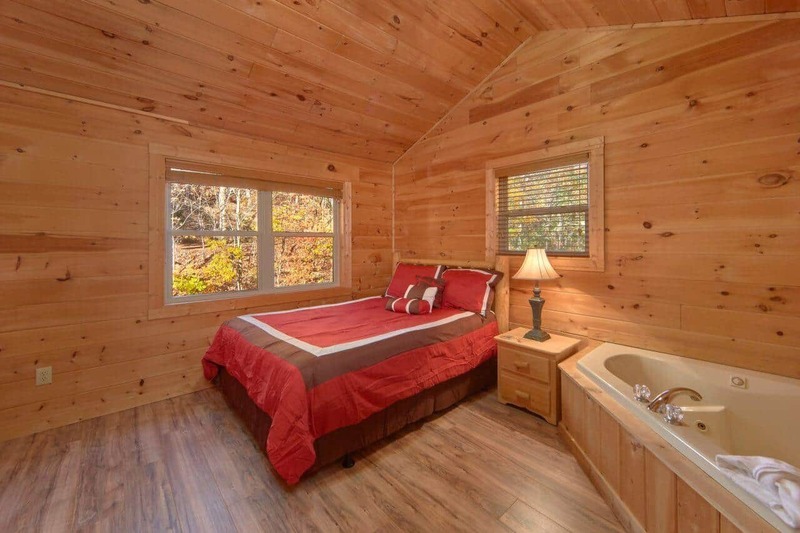 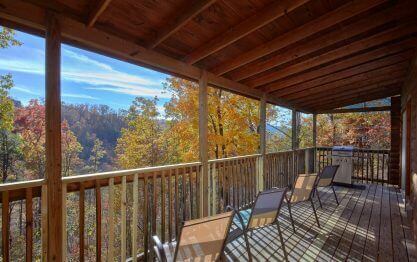 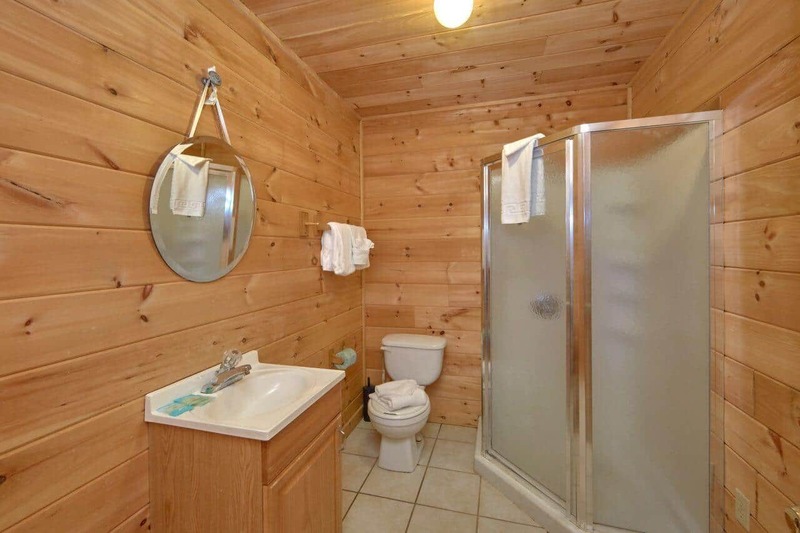 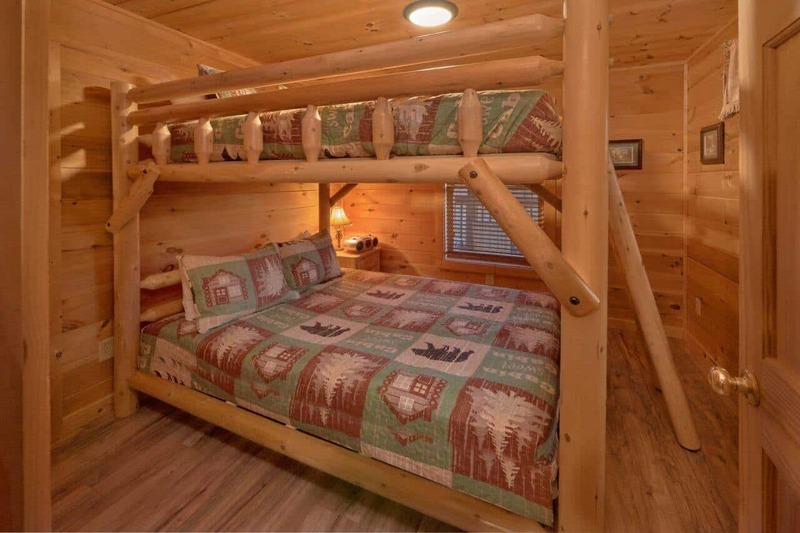 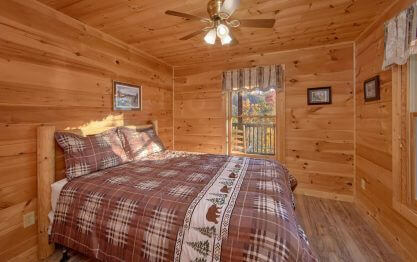 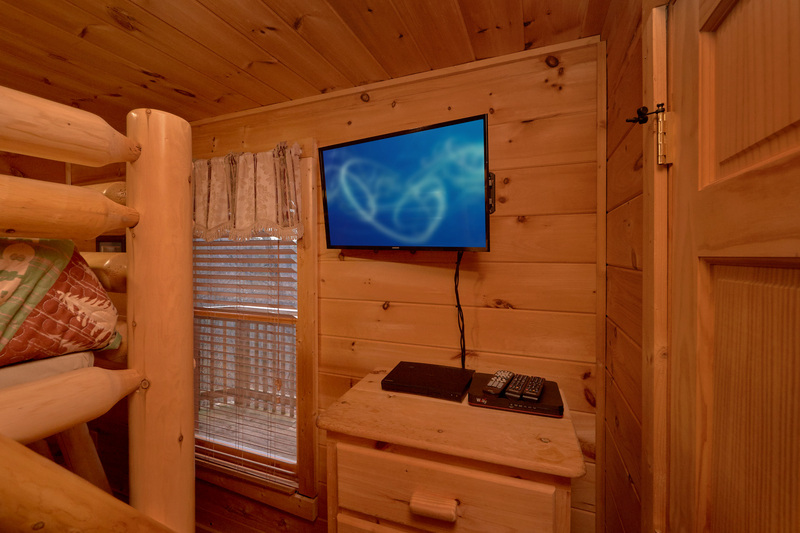 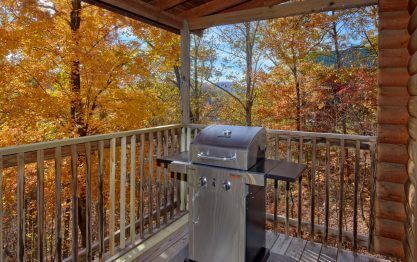 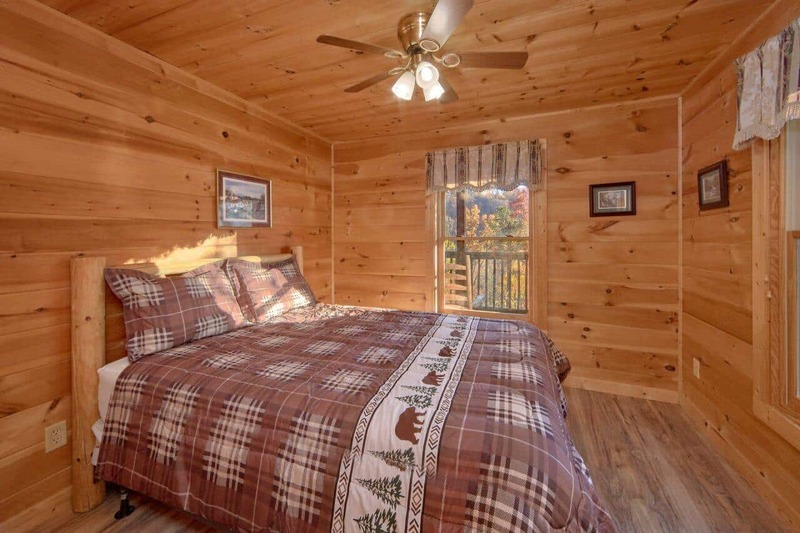 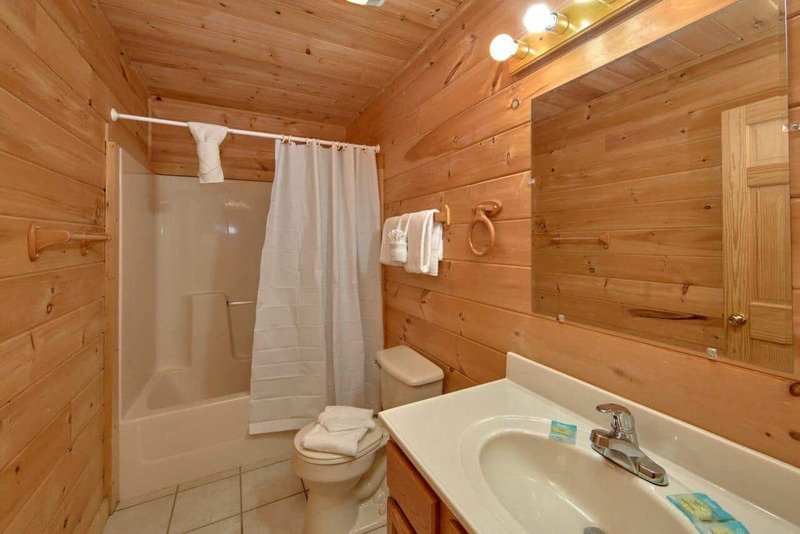 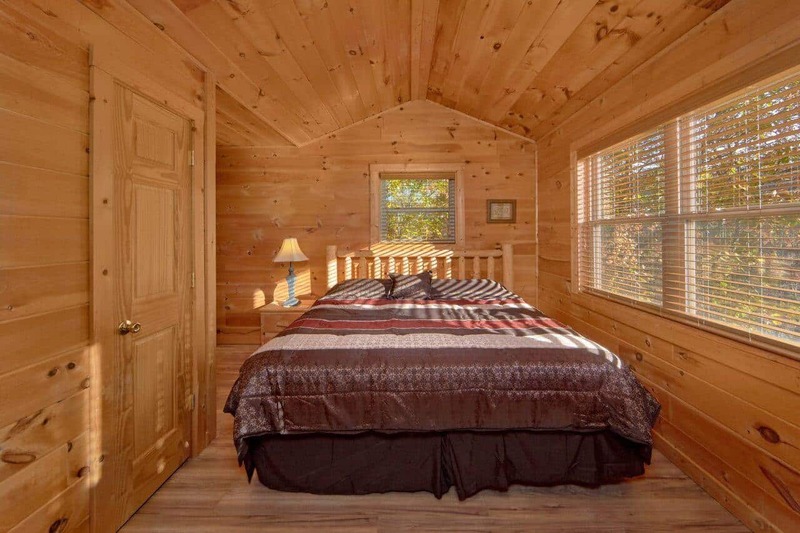 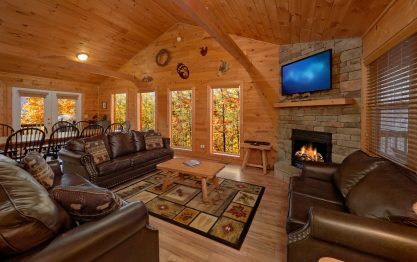 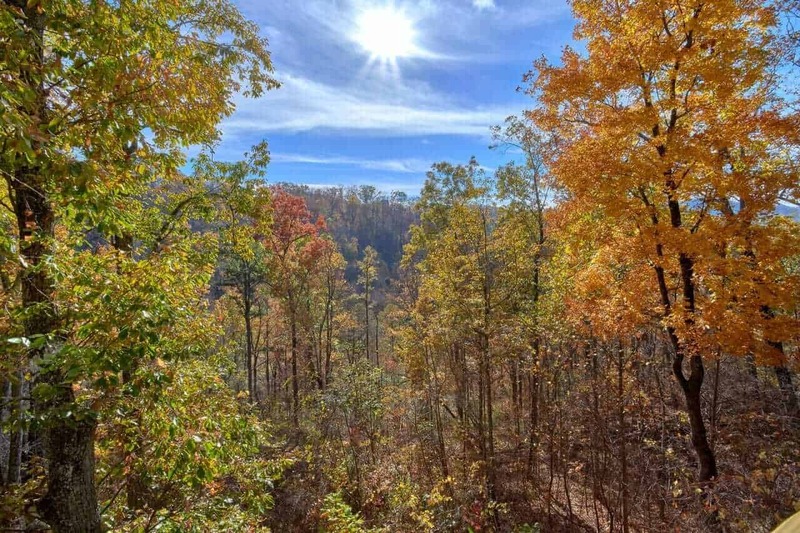 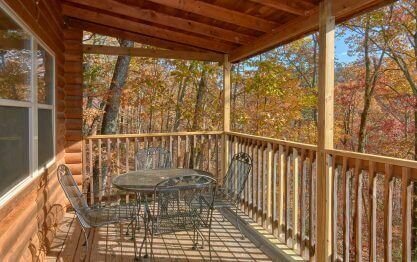 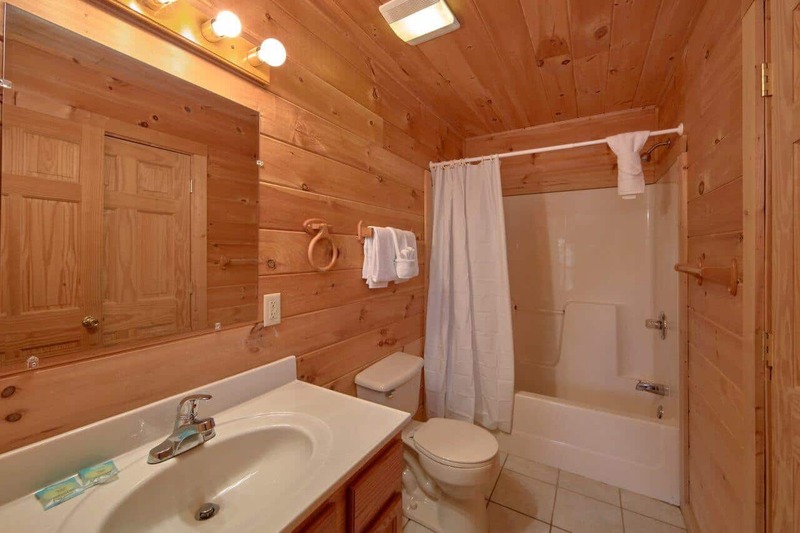 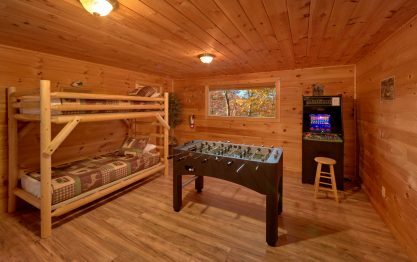 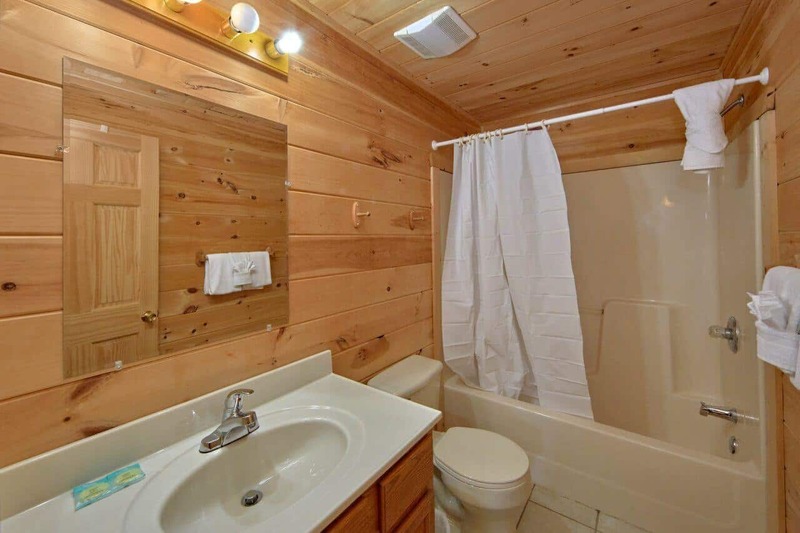 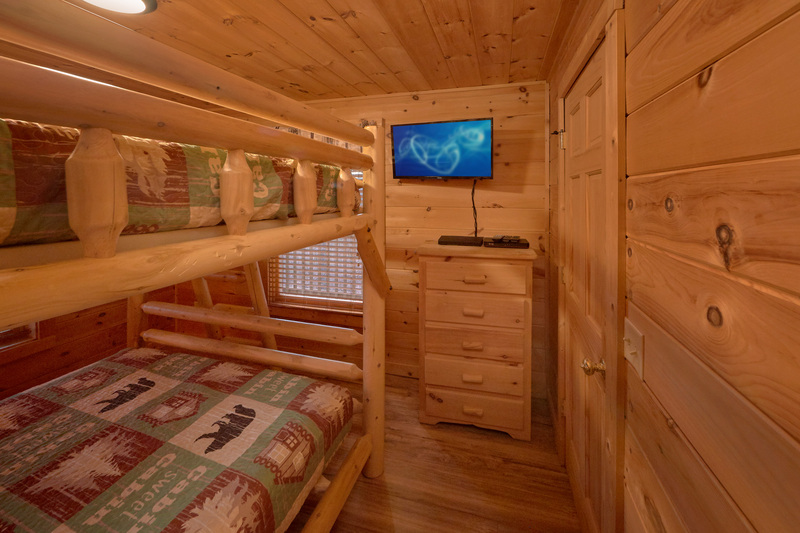 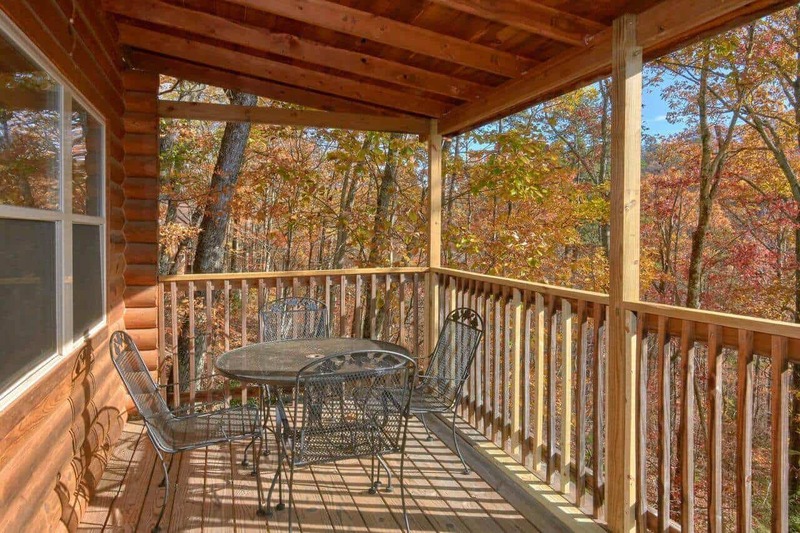 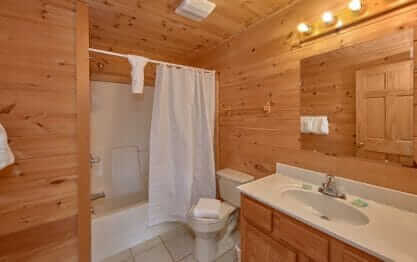 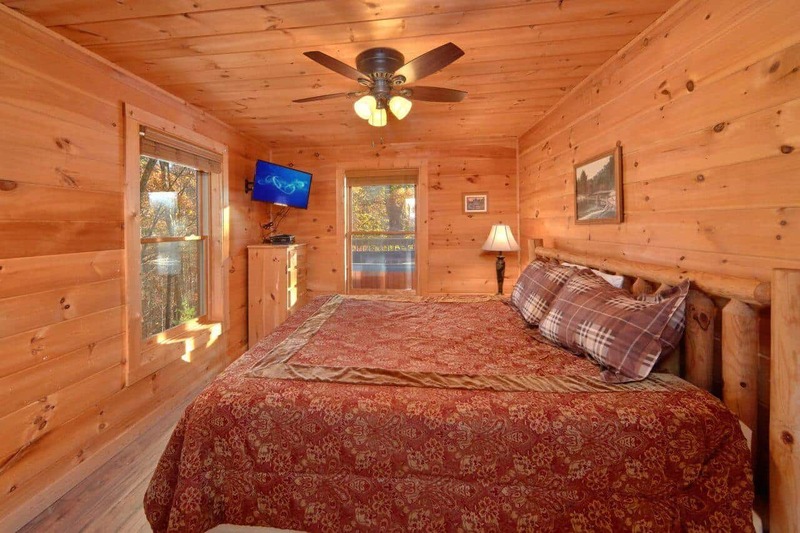 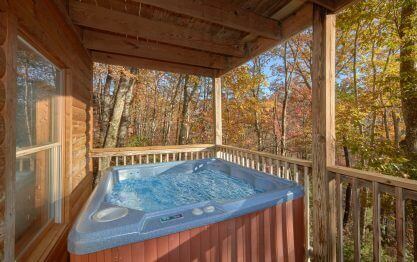 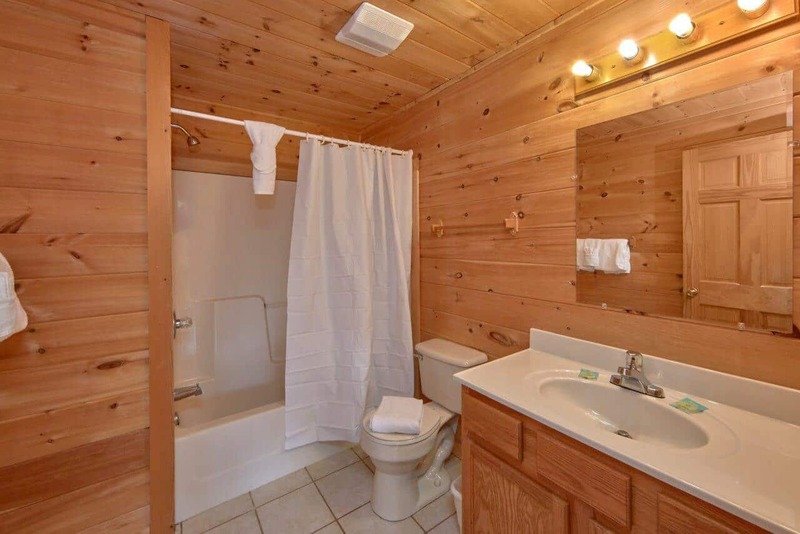 We challenge you to find a better priced 6 bedroom cabin in the area with similar quality and amenities! 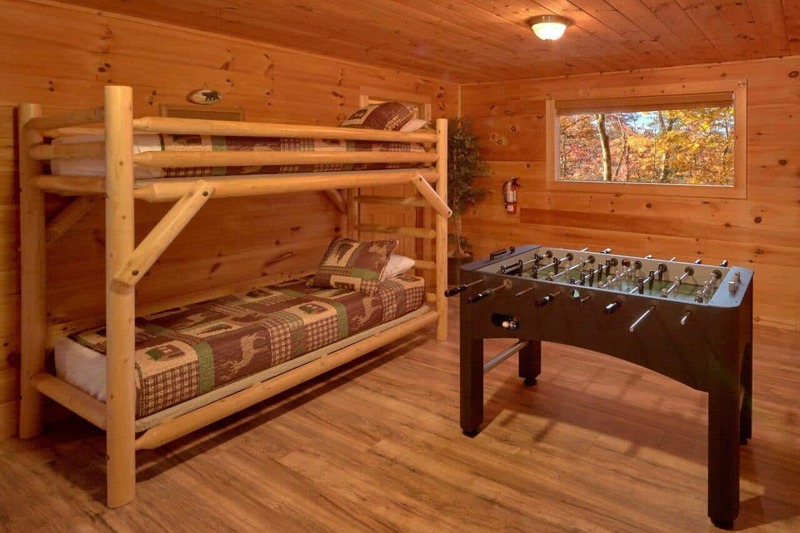 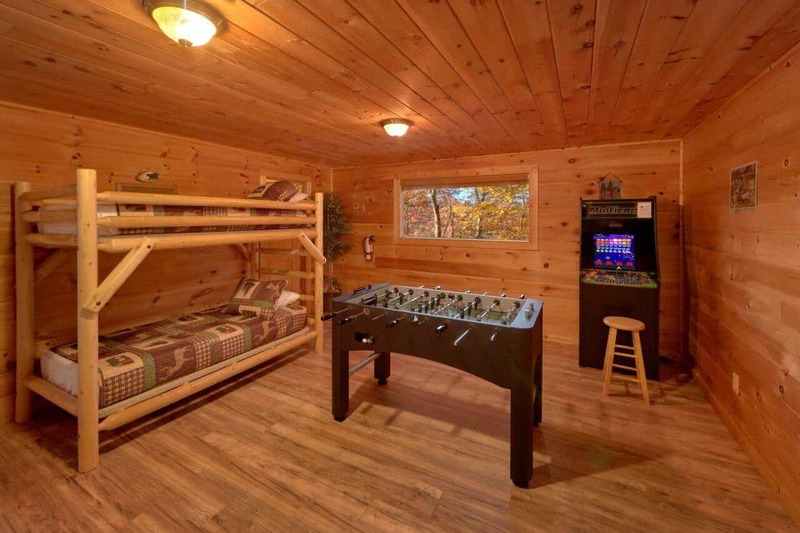 Big Pine Lodge boasts games galore. 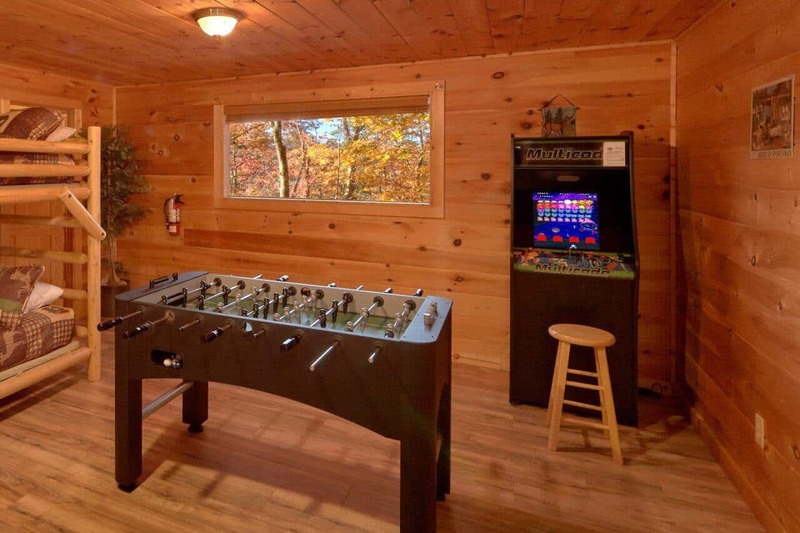 Enjoy a friendly game of foosball or turn up the heat and play a few rounds on the classic arcade game. The possibilities for fun and leisure are endless at Big Pine Lodge. 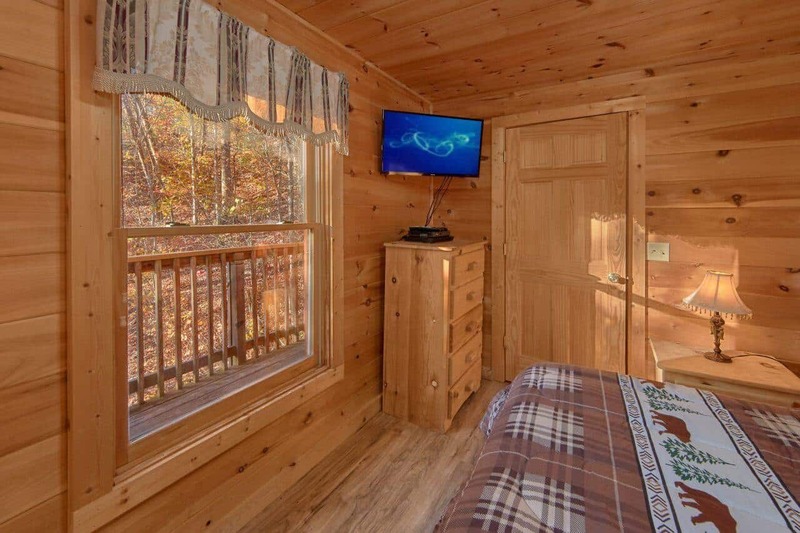 Thank you for your kind review, Shirley! 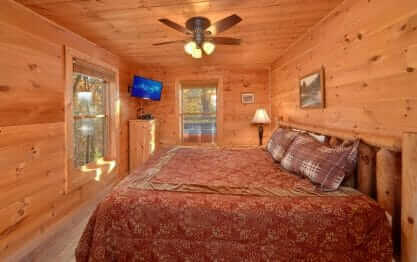 It is delightful to hear you had such a great stay at Big Pine Lodge. 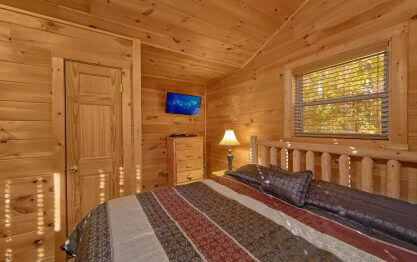 We hope you will choose to visit with us again very soon!